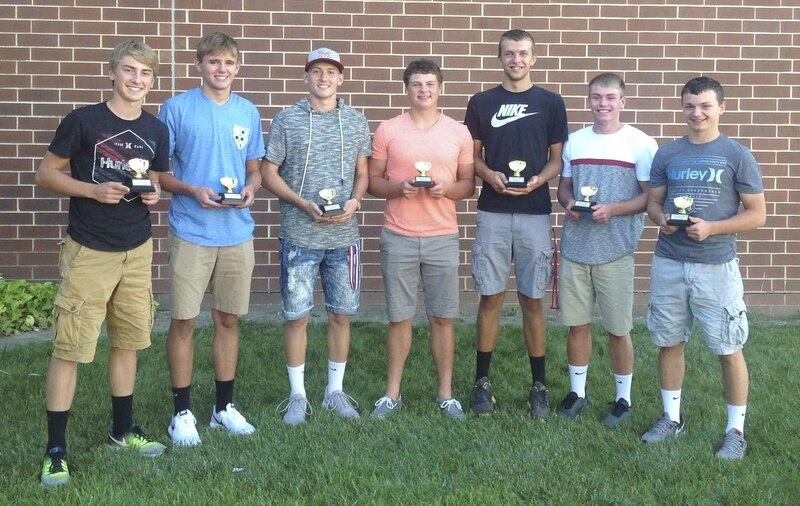 Gold Glove Award winners, from left: Tyler Hospodarsky, Avery Martensen, Andrew Mescher, Jacob Manternach, Alex Nealson, Gavin Cooper and Alex Kremer. 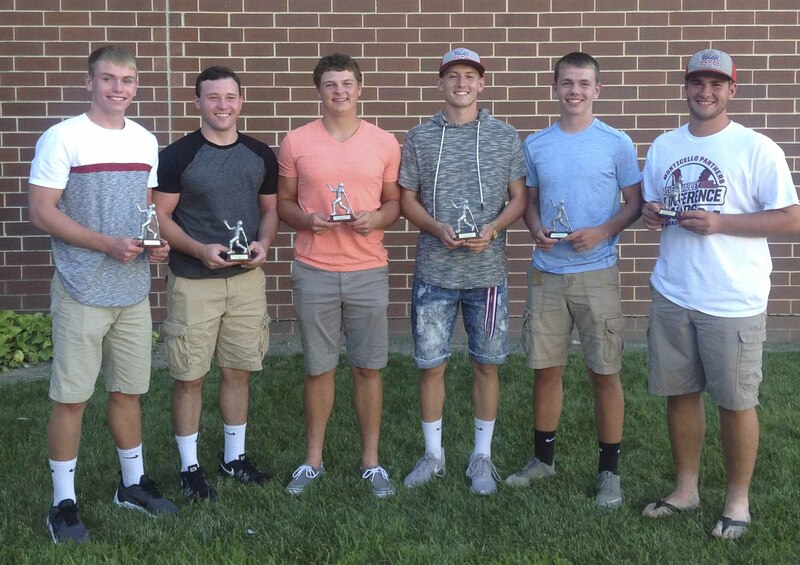 Silver Slugger Award winners, from left: Gavin Cooper, Jon Mootz, Jacob Manternach, Andrew Mescher, Kyle Sperfslage and Ryan Manternach. Jacob Manternach also earned the award for Highest Quality At Bat Percentage. Cy Young Award winners, from left: Ryan Manternach, Kegan Arduser, Andrew Mescher and Kyle Sperfslage. River Valley All-Conference players for the Panthers, first row from left: Jon Mootz, Gavin Cooper and Kyle Sperfslage. Second row: Kegan Arduser, Avery Martensen, Jacob Manternach, Andrew Mescher and Ryan Manternach. Earning Academic All-Conference honors, first row from left: Andrew Wall, Jon Mootz, Alex Kremer, Tyler Hospodarsky, Gavin Cooper and Kyle Sperfslage. Second row: Ryan Manternach, Andy Tjaden, Avery Martensen, Andrew Mescher and Jacob Manternach. Not pictured is Kirklen Kiburz. 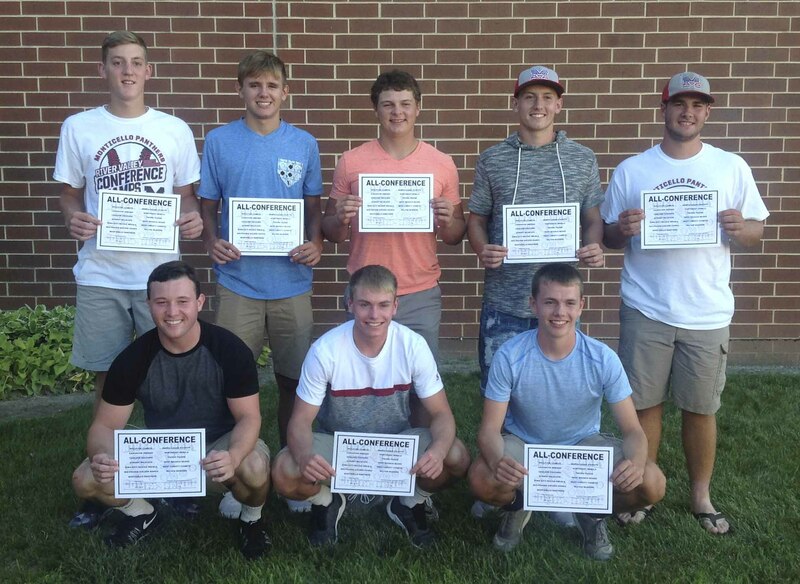 Awards were almost as abundant as wins for the Monticello High School baseball team, as it celebrated its season with an awards banquet Sunday, July 30 at MHS. The Panthers went 22-7 under coach Josh Soper, finishing as the River Valley Conference North Division champions with an 11-2 conference record. They reached the district finals before losing to eventual state champion Dyersville Beckman. 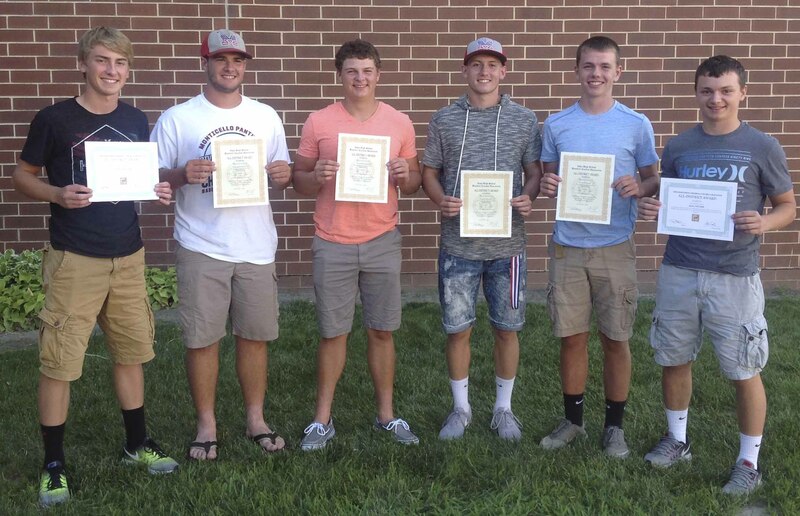 Conference, Academic All-Conference, and team awards were presented. A list of award-winners follows. First team: Jacob Manternach, junior catcher; Andrew Mescher, junior utility. Second team: Ryan Manternach, junior pitcher. Honorable mention: Tyler Hospdarsky, senior; Alex Kremer, senior. Elite Team: Jacob Manternach, junior catcher; Ryan Manternach, junior pitcher; Kyle Sperfslage, junior infielder; Andrew Mescher, junior utility. North Division team: Avery Martensen, sophomore first baseman; Gavin Cooper, sophomore first baseman; Jon Mootz, sophomore utility. Honorable mention: Kegan Arduser, junior pitcher. Seniors Alex Kremer, Tyler Hospodarsky, and Andy Tjaden; juniors Andrew Wall, Kyle Sperfslage, Ryan Manternach, Andrew Mescher, Jacob Manternach and Kirklen Kiburz; sophomores Avery Martensen, Jon Mootz and Gavin Cooper. Highest Quality At Bat Percentage: Jacob Manternach, junior. 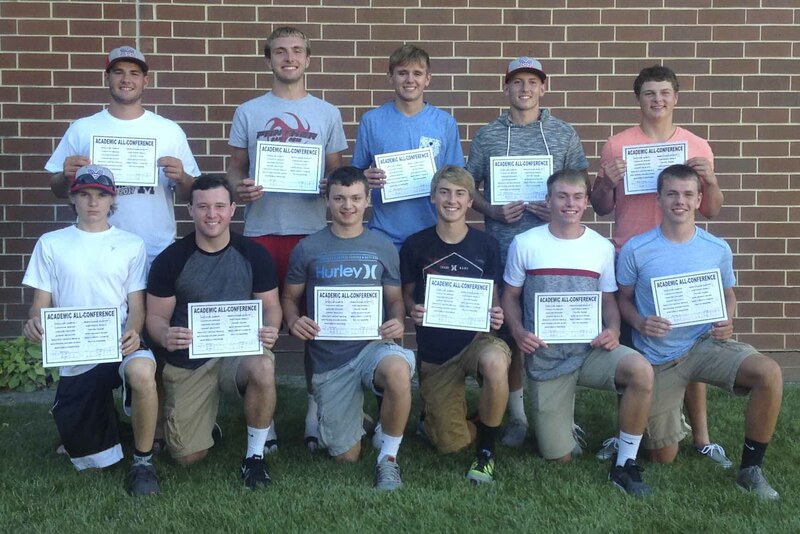 Gold Glove Award (.930 or higher fielding percentage): Tyler Hospodarsky, senior; Alex Kremer, senior; Andrew Mescher, junior; Jacob Manternach, junior; Alex Nealson, junior; Avery Martensen, sophomore; Gavin Cooper, sophomore. 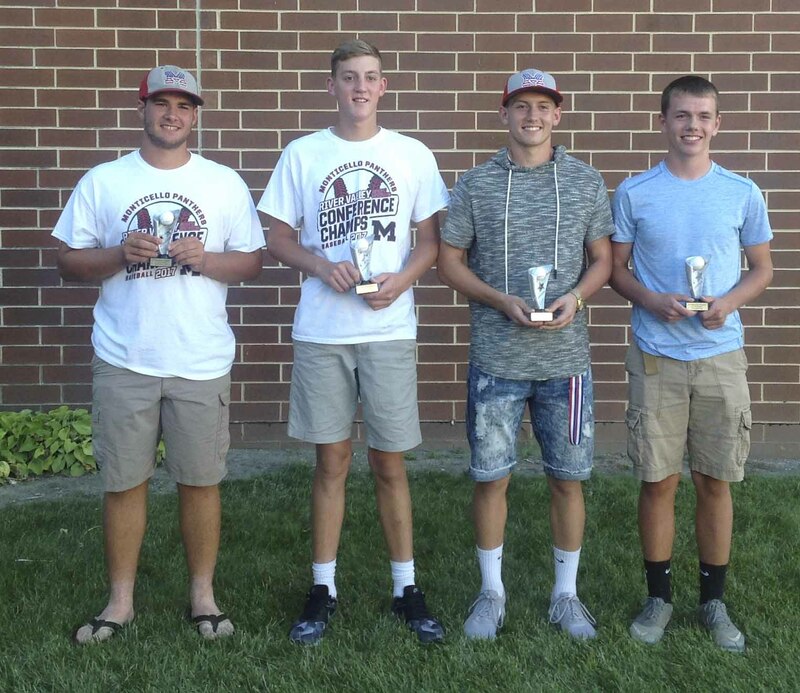 Silver Slugger Award (batting average over .300): Jacob Manternach, junior; Andrew Mescher, junior; Kyle Sperfslage, junior; Ryan Manternach, junior. Gavin Cooper, sophomore; Jon Mootz, sophomore. Cy Young Award (ERA under 2.50): Ryan Manternach, junior; Kegan Arduser, junior; Andrew Mescher, junior; Kyle Sperfslage, junior.